"YOU MAY HAVE HEARD ABOUT US THROUGH THE GRAPE VINE...."
FRP commissioned Really Pro Ltd to manage the Public Relations and Marketing of the Pensions Advisory services offered under the main FRP brand. Director of Business Development – Dave Howells commissioned the services of Really Pro Ltd working with Kelly Monroe to deliver a range of Strategic Marketing and Innovation services to increase awareness of the project and work with clients engaged onto the project. Really Pro Ltd successfully delivered a tailored development program for Year 10 pupils as part of their extended curriculum under our Inspired 2 Succeed Program of activities that included digital, financial, entrepreneurial and business skills. Working with Really Pro to achieve the results from our Year 10 was inspiring and filled with enthusiasm end to end. The result was all pupils achieving a L1 Agored Cymru qualification, a business being set up, merchandise being launched, a music single being professionally produced and most importantly ALL pupils being completely engaged from start to finish of the 5 week programme. Our pupils words tell the story and made me literally lost for words to see engagement, determination, team work, commitment and most importantly happy faces made it all worth while, thank you all. Paige "Really Pro and the Inspire 2 Succeed programme has shown me that Inspiration comes from within"
Jade "Courage is what it takes to stand up and speak, courage is also what is takes to sit down and listen. I have gained courage from the 5 weeks with Really Pro"
Tayla "Really Pro has shown me that success is no accident. It's hard work, perseverance and most of all love of what you are doing. We all had an amazing time on the Inspire 2 Succeed programme". After a detailed procurement process Really Pro Ltd was selected to deliver a range of marketing services under a monthly supplier contract to help evolve the business brand and its marketing reach. Really Pro Ltd worked with TSW to review and implement the overall business Marketing Strategy and Operations plan. The results were great, the business increased productivity and bottom line and new campaigns were introduced in a timely co-ordinated manner. The initial contract for Really Pro was extended for another year and a half when it was mutually decided that due to the increased demands of the business it was time to recruit a full time internal Marketing Manager. 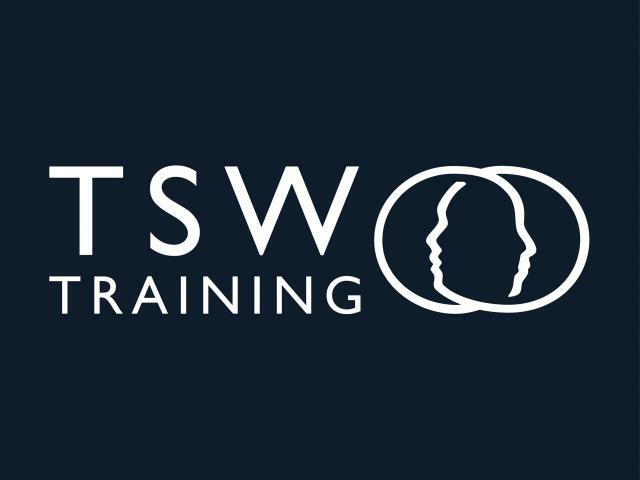 TSW Training would not hesitate to recommend the team at Really Pro Ltd and their supplier network for their professional and friendly service. Are you looking to work with an inspirational organisation that can make a difference? Whether you are an individual, business, rural enterprise, school, educational organisation, from the military or the public sector – we have a range of solution to meet your needs.